Endura industrial coatings are designed and tested in the world's harshest environments, from offshore oil rigs to gravel trucks, providing an easy to spray, long lasting coating that will protect your investment for years to come. Endura Manufacturing is committed to providing our customers with the best high performance paint system available. Our premier line of industrial coatings provide exceptional value and extended service life. A complete line of primers color and clear coats formulated that meet or exceed automotive refinishing guidelines for VOC levels. Endura Aviation manufactures products that provide the protection and durability required by the entire aviation industry, from home-built to commercial aircraft. The Endura SPEED SYSTEM reduces application time and increases shop performance. It is designed to provide a high quality coating that can be sprayed in one shift. Our objective is to develop and market specialty paints and coatings. Endura Manufacturing is committed to providing our customers with the best high performance paint system available. Through research and development Endura has created paint systems designed to work in the harshest environments, from off shore oil rigs to gravel trucks and trailers, providing an easy to spray, long lasting coating that will protect your investment for years to come. We have durable urethane and epoxy primers that are then finished with a single-stage polyurethane topcoat. We have systems that are suitable for every type of surface (aluminum, steel, composite, fabric). The system allows for Endura products to be sold in single component or 2 component (e.g. EX-2C Topcoat) in aerosol spray cans. The 1K and 2K aerosols are excellent for touch ups and repairs or for painting small projects. Stronger, tougher and more versatile than water-based coating systems. 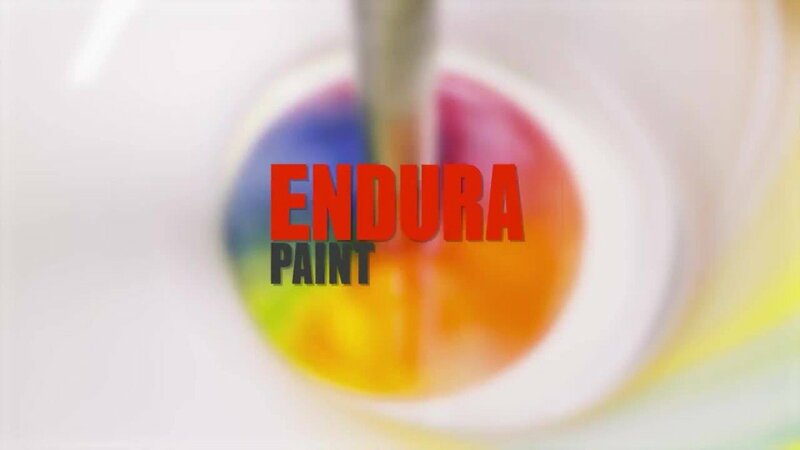 Endura Paint was founded in 1966 with the objective of developing and marketing specialty paints and coatings. Our philosophy is to manufacture industrial coatings using the highest quality raw materials, ensuring that Endura coatings achieve outstanding performance and provide a service life far beyond industry standards.